AMMAN — Arrangements to deliver humanitarian aid to the Rukban camp are only temporary solutions that do not address the real issue, and the focus must be on the de-establishment of the camp and allowing refugees to return to their hometowns, Foreign Minister Ayman Safadi has said. “The area in which Rukban exists has never sustained life. Humanitarian supplies are important, but now that the conditions of their return are met, with Daesh pushed out of them, I think all efforts should be focused on achieving that,” Safadi told Sputnik news agency in a recent interview. The minister announced that Jordan is in discussions with Russia and the US over the Rukban encampment, located close to the Tanf US military base in the desert near where the borders of Syria, Jordan and Iraq converge, noting that “trilateral conversation” is the only way to solve the stranded refugees’ problem. 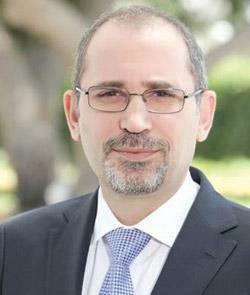 With the US planned withdrawal from Syria, the camp’s de-establishment and the safe return of refugees must be arranged “without any delay”, Safadi told the Russian news platform, stressing that the shortage of supplies is not the only thing that necessitates the closure of the camp, as it poses a serious security threat to the Kingdom, referring to a terrorist attack that targeted a military post serving refugees near the border, killing seven security officers and leading Jordan to declare the northern and northeastern border areas closed military zones in June 2016. When asked whether Jordan would have a monitoring role over Tanf military base in light of the US withdrawal, Safadi stressed that Tanf is on the Syrian side of the border and that the Kingdom will not cross into Syrian territory, but will only ensure the security of its borders. 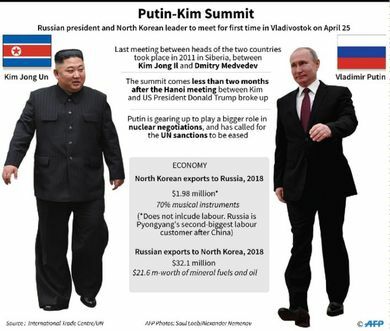 “Arrangements on the other side of the border, after withdrawal, will have to be agreed by all parties, and they have to ensure the safety and security in the area,” he stated. 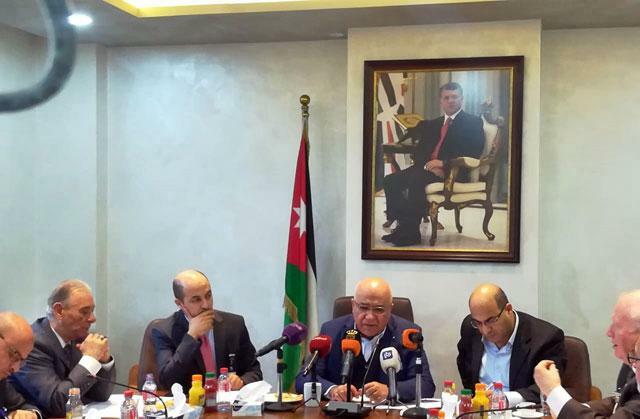 On restoring ties with its northern neighbour, the top diplomat said that Jordan never cut diplomatic communication with Syria and its embassy remained open throughout the conflict, but with the reopening of the Nasib/Jaber border crossing, which was only closed as a result of the Syrian government losing control of them, “the embassy has to have the necessary resources it needs to handle increased volume of work and look after the interests of our citizens as well”, so the Kingdom appointed a deputy chief of mission, who will also ensure sufficient diplomatic channels of communication and address ties in light of new developments. “We also always said there must be an Arab role in efforts to bring about a political solution to the crisis. Having a [deputy chief of mission] in Damascus is consistent with this position. We want the crisis in Syria to end, and we will continue to do all we can to help achieve that. Ending the crisis is in the interest of all,” Safadi said. As the Arab League took the decision to suspend Syria’s membership, he elaborated, the decision to readmit the country must come from the league as well. “Syria is an Arab country, and the Arab countries have suffered the most consequences of the war in Syria. So there must be an active and positive Arab role in efforts to reach a political solution, on the basis of UNSC Resolution 2254, that will preserve the integrity of Syria, that Syrians will accept, that will restore to Syria its peace, security and stability, that will create conditions conducive for the return of refugees, that will bring about national reconciliation and that would restore to Syria its role as a pillar of stability in the region and in the Arab order,” Safadi added. Meanwhile, the Ramtha check point between Jordan and Syria will continue to act as a crossing for humanitarian supplies under a UN resolution renewing its mandate, Safadi told the news agency, noting that the area was used for the same purpose when Syria’s southwest was under the opposition’s control. He stressed his confidence in the Jordan Armed Forces-Arab Army and their ability to protect the borders and ensure the security of Jordan, noting as well that Jordan coordinates constantly with Russia and other members of the international community on efforts for stabilising southwest Syria. “It was the Jordanian-Russian cooperation that allowed for reconciliation agreements that really minimised the fighting and the destruction that could have happened when the Syrian government forces began their push for the return back,” he said. “We have 378 kilometres of border [with Syria]... We have aborted many [penetration] attempts in the past. We continue to be resilient. 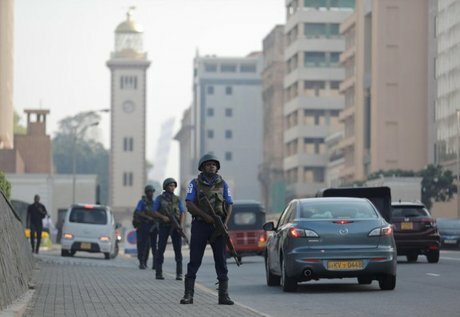 We continue to be very watchful, because ensuring our security is something that is naturally a top priority,” Safadi added. He noted that stabilisation efforts are not only restricted to the military and security component, “because if people are starved and are not protected, if people do not have food, then radicals and terrorists will try to penetrate through these disparate conditions and exploit the needs of the people to spread their agenda of hate and build support”. “So... we also have to address the humanitarian aspect and to ensure that stabilisation efforts are sufficient, that people are provided for, that people feel safe and secure,” he said. Need, despair and ignorance are the best allies of radicalism, the minister stressed, adding that that international efforts must be consorted to make sure those consolidated do not prevail. On the resumption of Jordanian flights to Syria, the minister told the agency that “it’s a technical decision”, as halting flights over the Syrian airspace was a security measure and once the security assessment is completed, and concerned officials are satisfied that there is no security risk, the two sides will address arrangements to resume flights. Regarding members of White Helmets in Jordan, Safadi said that the majority of the 422 Syrians from the civil defence who were allowed to enter the Kingdom have relocated to other countries, while 42 members, whose relocation processes are yet to be completed remain in Jordan. 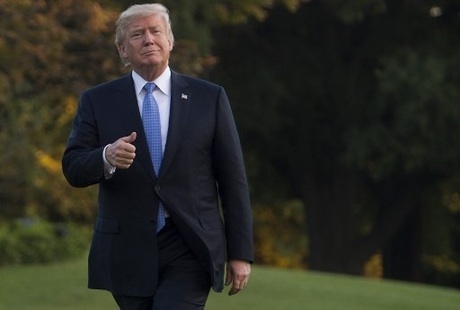 “We are in agreement with the countries who had asked us to allow them in that they have to accelerate this process,” he added, stressing that Jordan accepted them as refugees on a transit basis after some Western countries made binding written commitments they would relocate them out of the Kingdom.